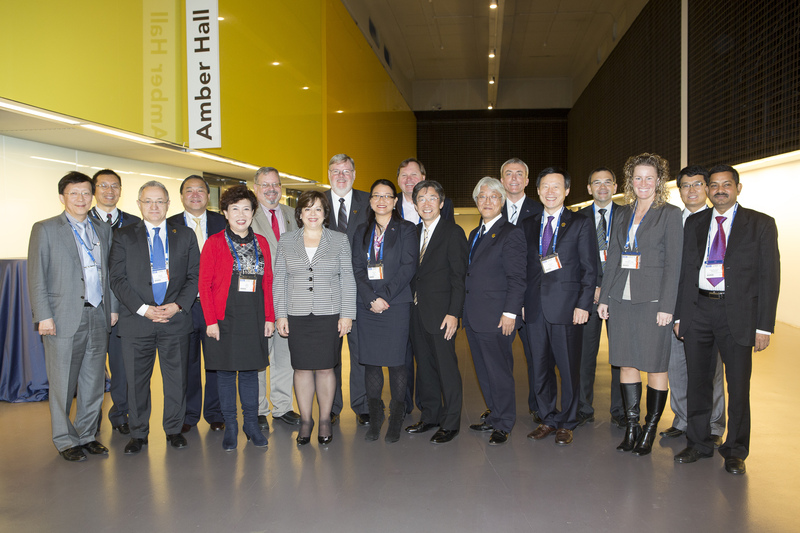 In a historic meeting, the Nuclear Medicine Global Initiative members met for the first time in Milan, Italy in October, during the European Association of Nuclear Medicine (EANM) meeting. With leaders from 13 nuclear medicine organizations around the world coming together to discuss the challenges and promises the future of nuclear medicine has in store. The group selected the very timely and important topic of dose optimization to focus on for their first project. On Thursday, January 17 at 7:00am (EST), these leaders came together in the first NM Global Initiative – Dose Optimization Working Group web-conference. With some individuals participating as late as 1:00am, the importance of this initiative is truly incredible. The group discussed where their efforts should be focused and agreed on - Harmonization of Pediatric Administered Activity Guidelines – with the following specific initiatives;develop introduction to guidelines that discusses the issues of Dosimetry in Pediatric NM, review existing protocols, review pediatric procedures identifying areas in need of harmonization, and development of education content including webinars (includes review of current content). The thirteen organizational participants were seperated into three smaller working groups in order to accomplish the tasks. The working groups and the larger representative group have met several times via web-conference and face-to-face meetings at the SNMMI Annual Meeting in Vancouver and again during the EANM Annual Meeting in Lyon, France. The project - Harmonization of Pediatric Administered Activity Guidelines focused on several specific initiatives;developing introduction to guidelines that discusses the issues of Dosimetry in Pediatric NM, reviewing existing protocols, reviewing pediatric procedures and identifying areas in need of harmonization, and developing education content including webinars (includes review of current content). The thirteen organizational participants were separated into three smaller working groups in order to accomplish the tasks. A draft document will distributed early next year (2014) with the project being finalized by the SNMMI 2014 Annual Meeting.